Ultraviolet rays can greatly damage wines by breaking down the chemical compounds in them. This, in turn, can change the color, scent, taste, and texture of your wine, making it entirely different from what you’d expect it to be and even make it become undrinkable. But take note: ultraviolet rays are not just present in sunlight; they can also be found in fluorescent and incandescent lights. Because of this, you have to keep your bottles away from all kinds of lighting and store them in a dark area with minimal illumination. Extreme heat and cold as well as temperature fluctuations can make your wine look unsightly and taste/smell unpalatable. 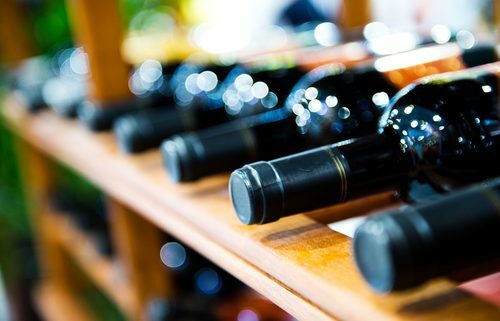 This is one of the reasons why renting a locker in a wine storage facility makes sense: most facilities invest in modern and state-of-the-art refrigeration systems that maintain the appropriate temperature levels. Some of these systems are designed to have redundant components, which means they can still provide proper refrigeration even if one part fails. Just like with temperature, too much and too little humidity can have a negative effect on your wine. High humidity levels can destroy paper labels on your wine bottles, which can lower their resale value. Low humidity levels, on the other hand, can cause the cork in the bottle to dry out and shrink. When this happens, outside air can enter the bottle, oxidize the wine, and cause it to spoil. To prevent this scenario, you’ll want to find a facility that maintains proper humidity levels along with the right temperature. Think of your wine bottles as living, breathing things: they interact with the objects in their environment and can be affected by them. If you place them near rotting wood, for example, the wood can infect the cork and cause it to rot as well. This, in turn, will affect your wine’s taste, smell, and potable quality. If you put your bottles near food that can develop mold, the wine inside can be infected with the fungi. This alters its chemical balance and makes it unsuitable to drink. This is also the case with products that are made of harsh chemicals. These have strong smells (such as soap and detergent) and their scents can be absorbed by the wine. Some experts believe that too much vibrations can affect wine’s aging process. Whether this is true or not, the fact of the matter is that shaking your wines will disturb the sediments that settle at the bottom of the bottle. This, in turn, can make your wine feel grainy in your mouth instead of smooth and crisp. Remember these best practices and ensure they’re followed in your wine facility!